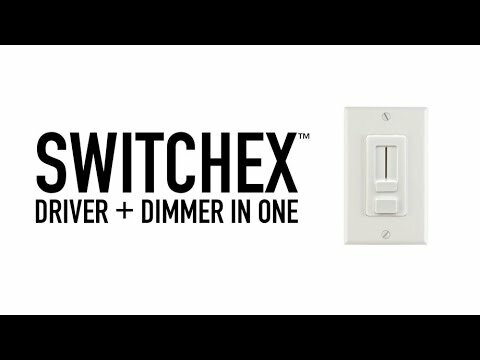 DiodeLED Switchex® 1-Pole Driver and dimmer switch has input voltage rating of 120-Volt AC at 50/60-Hz and output voltage rating of 12-Volt DC. Switch in glossy white/glossy dark brown/glossy light almond color, has comes with voltage barrier partition to install high/low-voltage circuit in same switch box. Switch in gloss finish, easily fits in a standard recessed electrical box. Switch with lead wire terminal connection, features adjustable voltage output dial to address voltage drop. It has maximum load capacity of 60-Watts and 5-Amps for CFL/LED. 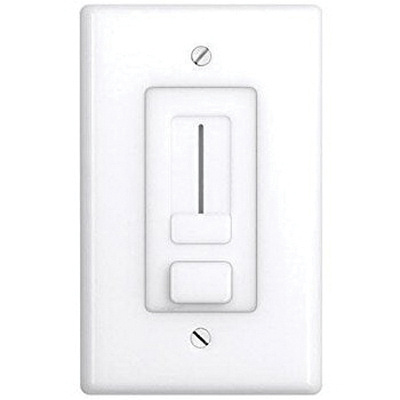 In-wall mountable switch measures 2.1-Inch x 2.1-Inch x 4.1-Inch. Switch operates at temperature range of 0 to 40 deg C. Driver and dimmer switch is cULus listed, CE certified, RoHS compliant and meets NEC standards.